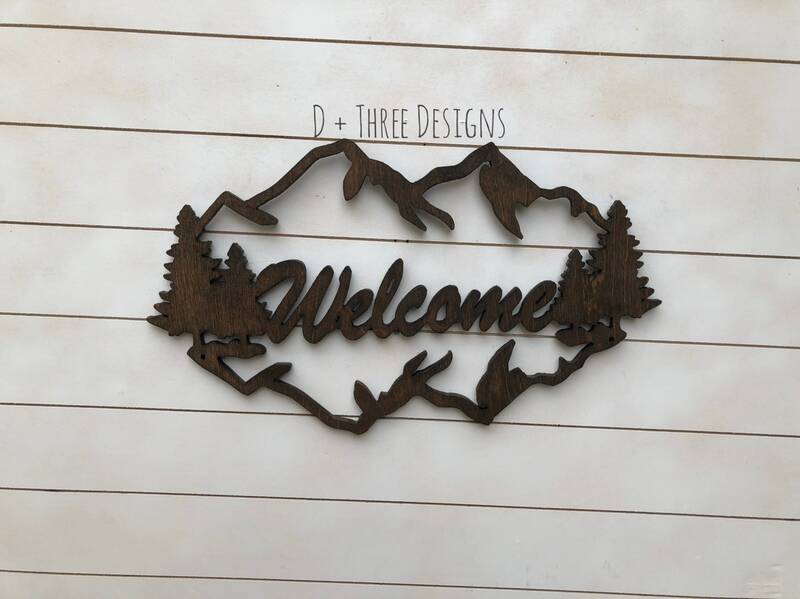 This rustic wooden welcome sign is approximately 18” wide cut from 1/2” birch wood. 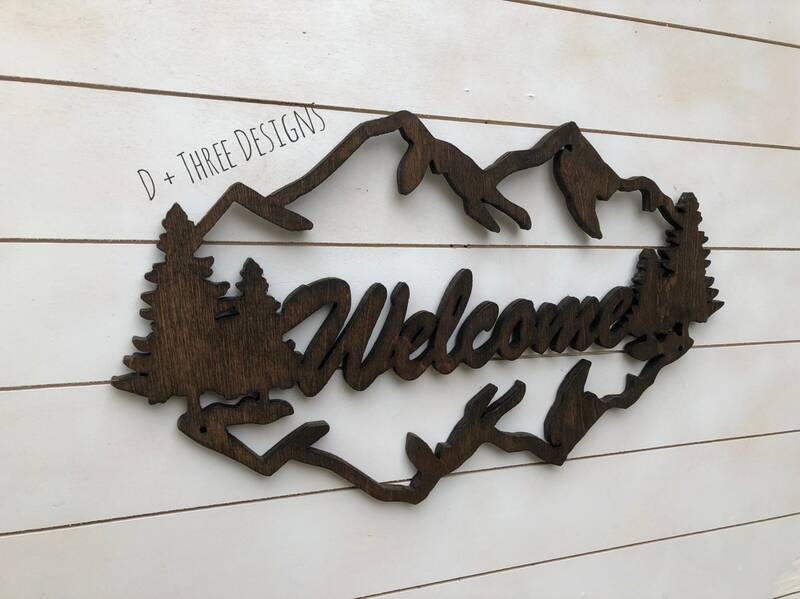 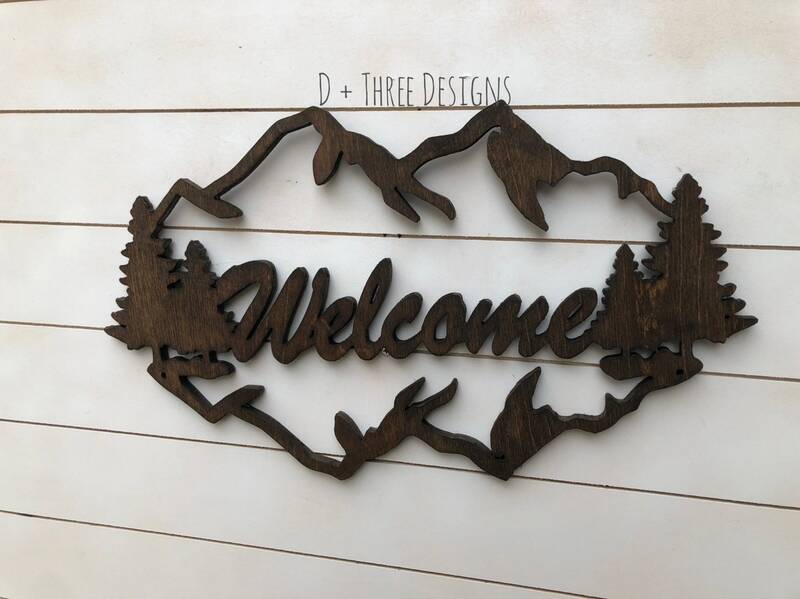 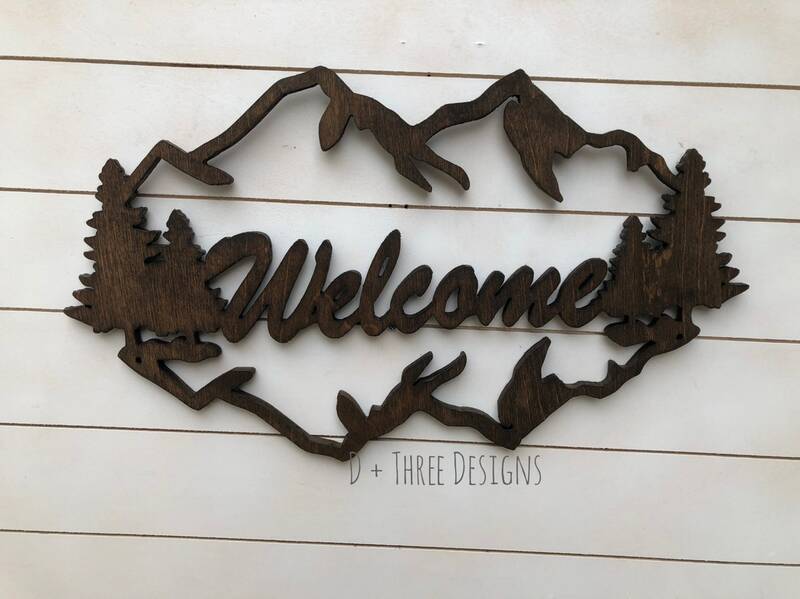 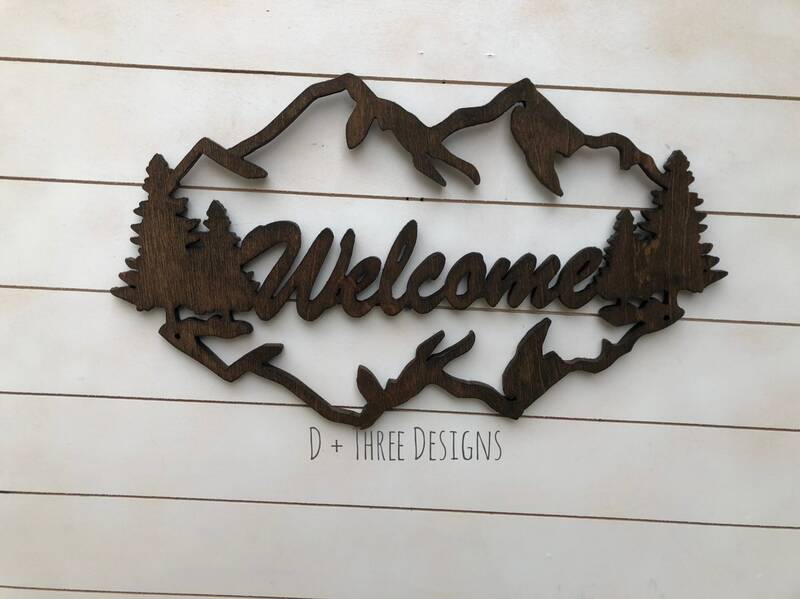 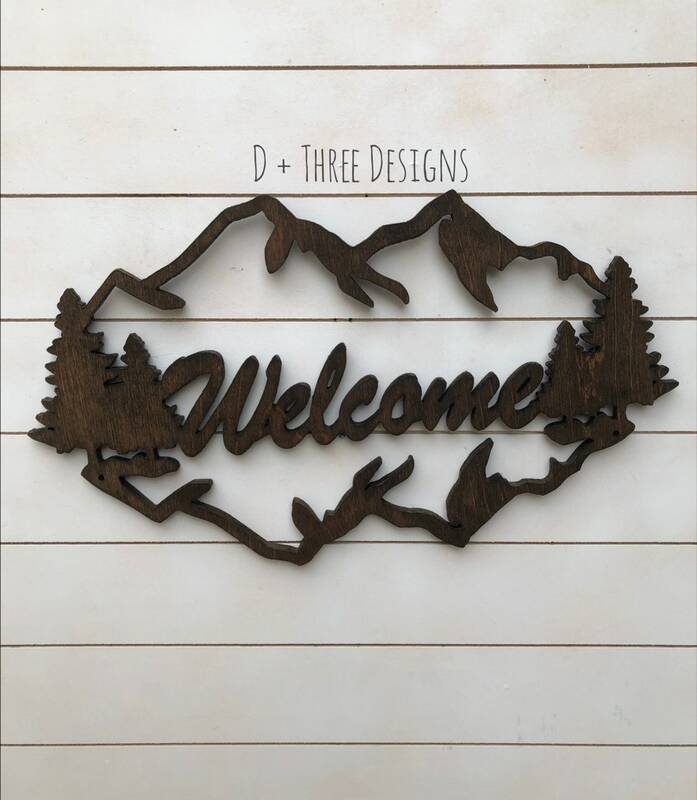 The welcome sign is great cabin decor, for a hunting lodge, or just rustic welcome sign. 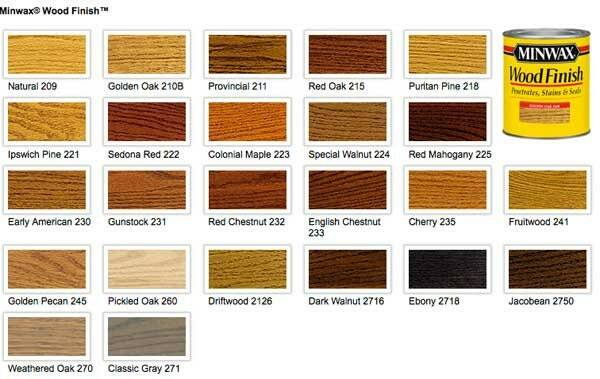 Pick your stain color and let us know whether you want it distressed or not in the Notes to Seller box at checkout.